Thousands of Anuak, a mostly Christian indigenous group from the rural Ethiopian state of Gambella, have fled from a brutal mass relocation program run by the Ethiopian government that former officials claim was funded using World Bank money. The soldiers attacked them, Otiri says, because he opposed Ethiopian authorities’ efforts to force him and his neighbors from their homes as part of the country’s so-called “villagization” effort – a massive social engineering project that sought to move almost 2 million poor people to newly built sites selected by the government. 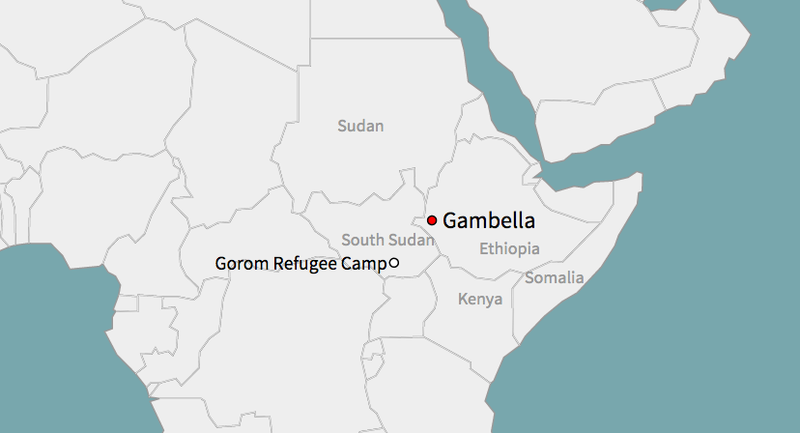 In Ethiopia, claims of human rights abuses associated with mass evictions in Gambella prompted neighboring South Sudan – a nation ravaged by a civil war – to grant group refugee status to Anuak who have fled Ethiopia. Sasha Chavkin traveled to Ethiopia and South Sudan for this story.